It can be tough to navigate the Chrysler vehicle lineup if you aren’t sure about the difference between a Town & Country LX and a Pacifica Touring. Shawnee and Oklahoma City drivers know they can trust AutoMax Dodge to help find the right Chrysler for their needs. Before you visit us for a test drive, we have an overview of the four Chrysler vehicles to give you an idea of what makes each one unique. 200: The 2016 Chrysler 200 price starts at $21,995 (MSRP) for the base LX trim. Upgrading to the Limited ($24,490), the 200S ($25,690), or the 200C ($27,570) steps the technology and comfort features up a notch. 300: 2016 Chrysler 300 prices start at $32,160 (MSRP) for the Limited trim, $35,595 for the 300S, $38,555 for the 300C, and $42,690 for the 300C Platinum. Town & Country: Pricing on the famous Chrysler minivan starts at $29,995 (MSRP), with the Touring ($31,875), S (34,145), Touring L ($35,845), Limited ($38,445), and Limited Platinum ($40,645) upgrading technology, luxury, and safety. Pacifica: The new 2017 Chrysler Pacifica price starts at $28,595 (MSRP) for the LX trim, with the Touring ($30,495), Touring L ($34,495), Touring L Plus ($37,895), and Limited ($42,495) adding on additional amenities. In addition to affordable pricing, each of these Chryslers remains efficient and easy to fit into the budget, whether it’s a family minivan, a family sedan or simply a dependable and stylish commuter car. 200: The 2.4L four-cylinder keeps the 2016 Chrysler 200 fuel economy numbers high, earning an EPA-estimated 36 mpg/highway and 23 mpg/city while the available V6 trades a bit of efficiency for power, earning 32 mpg/highway and 19 mpg/city. 300: The standard V6 is engineered for efficiency; 2016 Chrysler 300 fuel economy estimates reach 31 mpg/highway and 19 mpg/city, while the V8 brings 25 mpg/highway and 19 mpg/city. Town & Country: Engineered for family vehicle perfection, the 2016 Chrysler Town & Country fuel economy will be an afterthought to most families at an estimated 25 mpg/highway and 17 mpg/city. Pacifica: This new minivan will have other models counting their pennies, with 2017 Chrysler Pacifica fuel economy estimates hitting as high as 28 mpg/highway and 18 mpg/city. 200: Drivers of even the base model will be impressed by the 2016 Chrysler 200 performance specs, delivering 184 hp and 173 lb-ft of torque, but drivers seeking more can find it in the 3.6L V6, with 295 hp and 262 lb-ft of torque (with optional all-wheel drive). 300: The standard V6 starts the 2016 Chrysler 300 performance specs at 292 hp and 260 lb-ft of torque while the V8 brings the power up to 363 hp and 394 lb-ft of torque. Both have an eight-speed automatic and rear-wheel drive as standard. Town & Country: Don’t be fooled by the high fuel economy, the 2016 Chrysler Town & Country specs ensure you’ll hit those soccer games and recitals on time, with the V6 delivering 283 hp and 260 lb-ft of torque. Pacifica: Even though it’s efficient, a V6 is still a V6, and 2017 Chrysler Pacifica performance specs deliver 287 hp and 262 lb-ft of torque with a standard nine-speed automatic transmission. 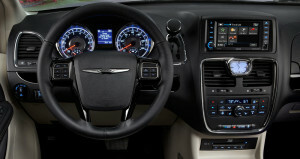 Each of these Chrysler models comes equipped with standard features that set it above the other vehicles in its class, with available amenities like the Uconnect infotainment system, Bluetooth, a rearview camera, leather upholstery, heated front seating, navigation, and much more available on each. 200: The 2016 Chrysler 200 interior sets it above the average mid-size sedan with an intuitively designed console, a comfortable soft-touch steering wheel, and unsurpassed front and rear shoulder room for passengers to get comfortable. 300: One of the last great full-size sedans, the 2016 Chrysler 300 interior seats up to five and feels positively spacious. Amenities abound, ranging from a Beats 10-speaker stereo system to LED cabin lighting to heated and ventilated front seating and more. Town & Country: A seven-passenger minivan with six different trim levels, the 2016 Chrysler Town & Country interior is designed to be a home away from home. High-tech connectivity and classic comfort features are available, but most importantly it has the space for the kids to get comfortable with an available entertainment system for those long drives. Pacifica: With seating for up to eight passengers and available Stow ‘n Go seating for switching between cargo and passengers, the 2017 Chrysler Pacifica interior is a mom or dad’s dream. Dual rear entertainment systems with Blu-ray and HDMI work with three-zone climate control and seating sculpted for comfort to keep everyone happy in the Pacifica. We can’t make the decision for you, but we do have a few suggestions for anyone shopping for a new Chrysler. 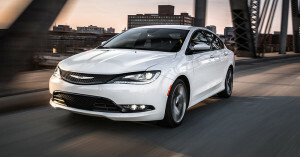 200: With its affordable pricing, high fuel economy, and elegant cabin, the Chrysler 200 has always presented a solid entry into the lineup. Drivers seeking a versatile car with a sense of class will find it here, without needing to spend luxury car prices. 300: Shawnee and Oklahoma City drivers looking for that classic sedan feel will find it in the 300, bringing a combination of elegance and power to the table that’s tough to beat. Town & Country: For 30 years, the Town & Country has been the go-to family minivan, but Chrysler is paving the way for a new generation with the Pacifica. Get in on the classic Chrysler minivan during its last model year and enjoy a vehicle that has raised families for decades. 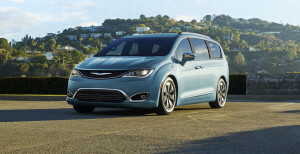 Pacifica: The next breed of Chrysler minivan, we recommend the Pacifica for families looking for something bold and new, especially if they want an available eighth seat. It takes the Town & Country and puts a new spin on it. 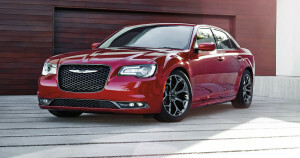 Oklahoma City and Shawnee drivers, we want to help you find your next Chrysler. 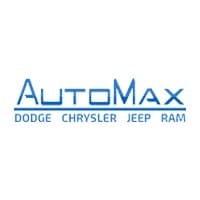 Visit AutoMax Dodge at 4141 N Harrison Ave in Shawnee to get behind the wheel. Contact us online or by phone at (888) 974-0688 with any questions or to schedule your test drive.